• Tomorrow roster’s can expand to allow anyone on the 40-man roster to join the MLB team. This is when the official DL becomes about useless. Teams won’t move players to the DL because teams no longer need to free up roster spots. Also, hitters who can hit, but not play in the field will return. It will keep a list of players who should be on the DL, but aren’t starting on Thursday. • Stephen Strasburg owners may not want to start him this week as he is again dealing with back issues. We will know more after he pitches his mid-week bullpen session. • Jason Castro’s hamstring strain may cause him to miss the rest of the regular season. First, here is the report from the team. Castro has been getting treatment since Friday, but said his quad is still sore, which was to be expected. With an already short bench, placing him on the 15-day disabled list became the team’s most logical option. Manager A.J. Hinch said there were a couple of different scenarios in play, depending on what hap-pened with Castro. After the team’s medical personnel evaluated Castro, they felt it was “unlikely that he was going to be able to come back within a couple weeks,” Hinch said, considering both his injury and the position he plays. 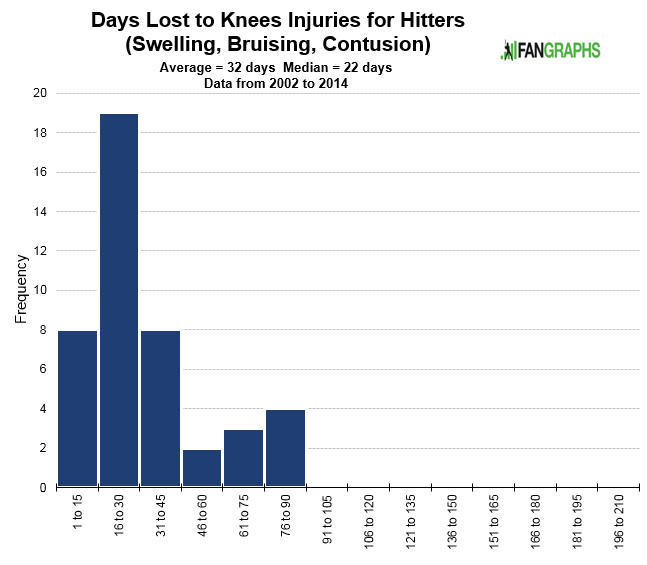 Also, here is the average days on the DL for players with quad strains. I think the Astros need to try to get him 100% for the post season. • Denard Span is done for the season with labrum hip surgery. Span said he’s had a terrible eight months. He had hernia and abdominal surgery before the regular season started. He hasn’t fully recovered from the abdominal surgery. Then he had back spasms that put him on the disabled list on July 7. He will be an interesting free agent. I could see him take an incentive-laden one-year contract to build back up his value. • Brad Ausmus thinks Victor Martinez’s knee is not 100% and it is causing his struggles. 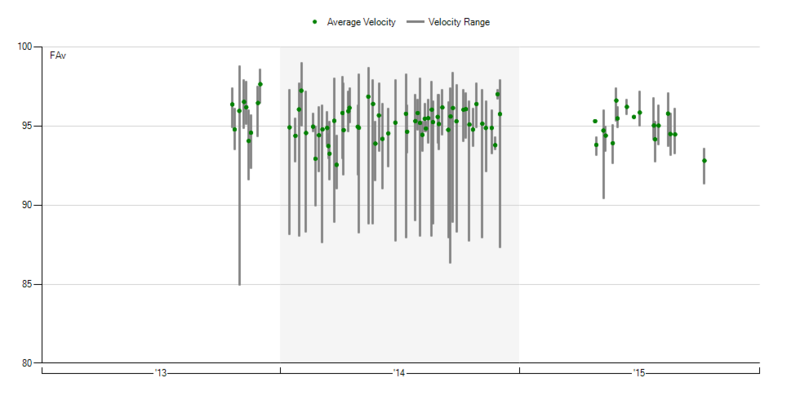 He hasn’t been his normal self with career low 0.5 K/BB and his lowest ISO (.122) since 2008. • Mark Teixeira is limited to just pinch-hitting duties because a thigh bruise is keeping him from running. Teixeira said that the injury does not affect him much in day-to-day life, but it has made a 90-foot sprint impossible. This injury should not surprise his owners and they will need to find another option at 1B. • Matt Cain is on the DL with a irritated nerve in his elbow. Here is a classic description how an injury can affect a pitcher. Cain described his discomfort as an “achy” feeling that he experienced at various junctures of the day. This contributed to his inability to maintain a consistent arm slot, which in turn robbed his pitches of movement and made them easier to hit. • Yasiel Puig will be on the DL for the minimum 15 days as he deals with a strained hamstring. • Zach Putnam is on the DL with a strained groin. The White Sox bullpen was gassed and needed some help before rosters expand. • Desmond Jennings’s knee is still giving him issues and he may miss the rest of the season. • David Freese is supposed to get off the DL today. • Ex-FanGraphs writer, Mike Axisa, looked at some minor league pitchers coming back from Tommy John surgery for CBS Sports. 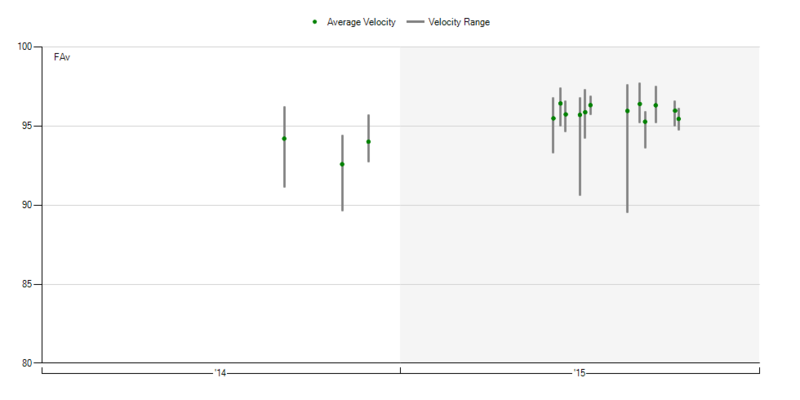 • Bryan Mitchell’s average fastball velocity is fine. • Andre Rienzo’s also fine. 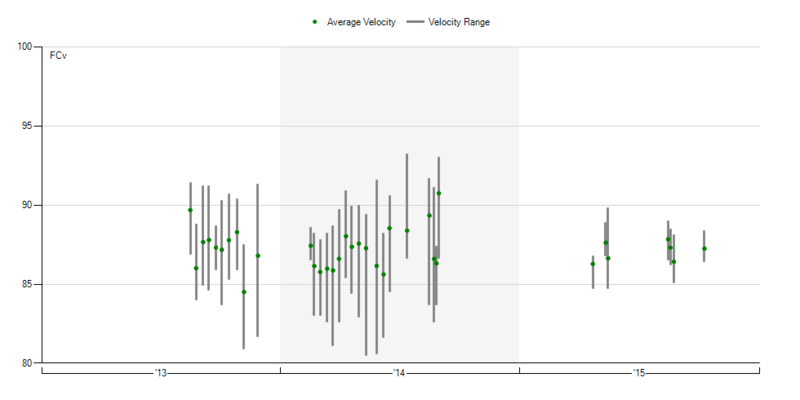 • Daniel Webb’s is down about 2 mph. The Red players have had updates since the last report. Click on the “Date” for a link to go to the latest article on the player. We hoped you liked reading MASH Report (8/31/15) by Jeff Zimmerman! Have the Yankees or Tex given any kind of timetable on when he might return to the everyday lineup? In a redraft league, with an already full DL, should I drop him? I’d hate to waste a spot in my lineup on someone who won’t contribute, but I’d also hate for someone else to get a healthy Tex for the last couple weeks. News is just getting worse for Teix, he is out the next series. Seems like more news in the next few days.